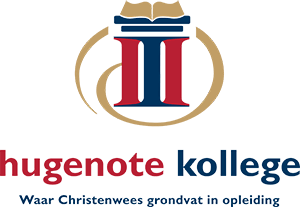 The educational model of Hugenote Kollege follows a rhetorical structure in which training is focused on the development of theoretical knowledge (logos), the person (etos) and empathy for the context (pathos). In a holistic approach, learning of knowledge, skills and attitudes is pursued. The development of theoretical knowledge takes place in residential and virtual class situations, depending on the mode of presentation of the various disciplines. Skills are simulated and practiced in tutorial and laboratory setup. Theoretical knowledge and skills are integrated into the relevant work environments during experiential learning. It offers students the opportunity of experience in the workplace which is enriched with reflection activities aimed at personal growth.